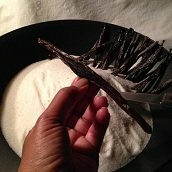 WikiSpices.com – your resource for quick simple answers for cooking with everyday spices and herbs! This site was designed and built to be your quick online spice and herb resource. We all lead busy lives, so we know you don’t have the time to search through a bunch of sites and books to find helpful information on herbs and spices you’re using every day. At WikiSpices.com you get quick clear answers for what you want to know, right now. This site gets you back to your cooking! Grains of Paradise - Melegueta Pepper, Ginger Root, Sumac spice, Saffron spice, Nutmeg, Cardamom spice, Cumin spice, and Vanilla Beans, are just a few of the many spices and herbs flavoring the world’s foods. Love cooking with herbs and spices? Want to learn more about spices and their uses? 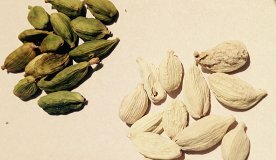 At Wikispices.com you can find concise answers to your most burning (sorry, had to go there) questions: Why are Saffron spice and Cardamom Spice so expensive? What are the most popular 11 herbs and spices? How long do spices last? Join the fun and cook up helpful dialog by submitting your own WikiSpices.com content pages and comments for publication on our site. Or, suggest which spices and herbs you would like to see highlighted in the newsletter "Spotlight On Spices." In every edition one spice or herb is highlighted ("The Spice of Life"), and others that are currently newsworthy may be mentioned occasionally. "Spicy Tidbits" (news in the world of spices, such as recalls, and cooking and baking tips), Spice Merchants and other resources are provided too. Stay in the know and get the latest information on everyday spices and herbs. 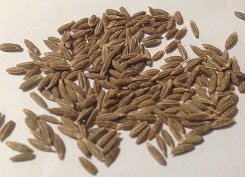 WikiSpices.com’s blog "Everyday Spices" provides the latest spicy news. Don't forget to bookmark this site. You'll want to come back again and again. Or, maybe you would like to share this site with your family and friends by linking to it. If so, just copy and paste the link below into your blog, a Web page, forums, a blog comment, your Facebook or MySpace accounts, or anywhere that someone would find this site helpful. Or, see the "Pay it forward" link options at the very bottom of this page.